Need a tune-up? 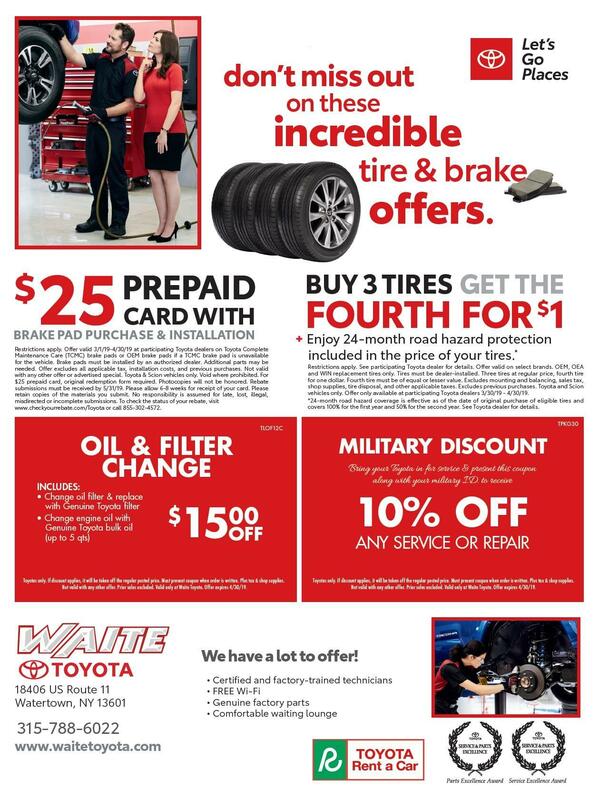 Come visit our certified technicians at Waite Toyota at 18406 US Route 11 for your next oil change, tire rotation, brake service and alignment, or even collision repair. Our friendly and courteous staff will service your car, truck, or SUV without wasting your time and money. At Waite Toyota, our Service & Parts Department offers specials on a wide variety of parts and accessories for all Toyota models including the Tacoma, Corolla, and Camry.